The Microsoft MVP Summit is next week. 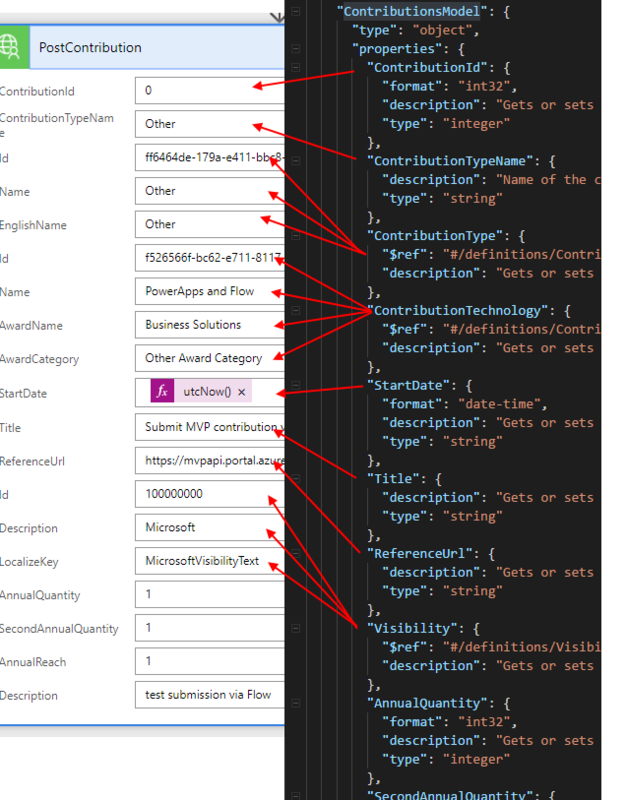 I'm here at 6AM slaving away cracking on this Swagger API file so that we can all have the awesomeness of automatically submitting MVP timesheets with Microsoft Flow. I'm up at 6AM writing a Swagger API File. But really, who doesn't want automatic?! The Microsoft MVP award is a recognition of our various activities throughout the previous year, and it is measured with both "reach" and "impact". So, at a minimum, we have to do timesheets. I really really don't like doing timesheets. We really should be able to do this automatically. Write a blog? Made a podcast? RSS -> Automatic. IoT senses temperature change? What better time to log an entry! It works the same way, but because it doesn't remember your tokens, every time you run the PowerShell you need to login via a Live, get a token, then make the submissions and then when the PowerShell session finishes you lose everything. So while this helps with entering the details, but doesn't help you manage your OAuth token, it certainly isn't "hands free / automatic". 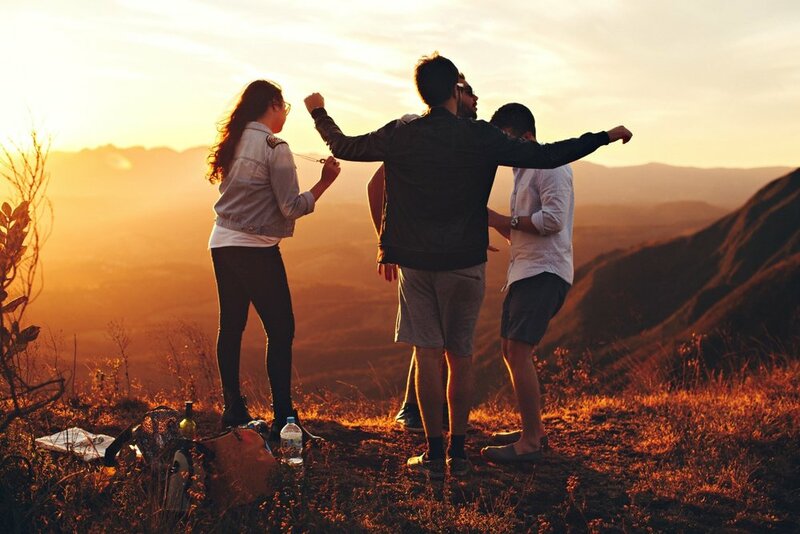 I frequently sing praises for Jan Vidar Elven's blog post on custom connector. 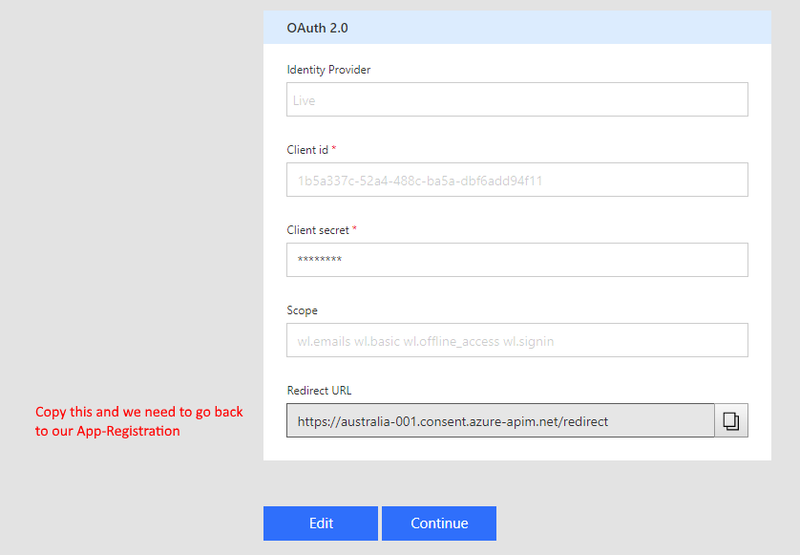 I'm connecting a Custom Connection to Flow to help me manage the MSA account. This is an extension of his detailed blog post. With your real subscription key from the API. You can use either the primary or the secondary. Save the swagger file. We go into Flow. Setup the Flow to make your MVP Lead happy because now all your contributions are going to be automatically entered. The entry in the MVP tool. Running this Flow does not guarantee an MVP award. But it will keep your lead happy. 1. The Swagger File is generated from the MVP API tool, but underwent heavy modification. For the curious you can compare the original vs my modified version. 2. 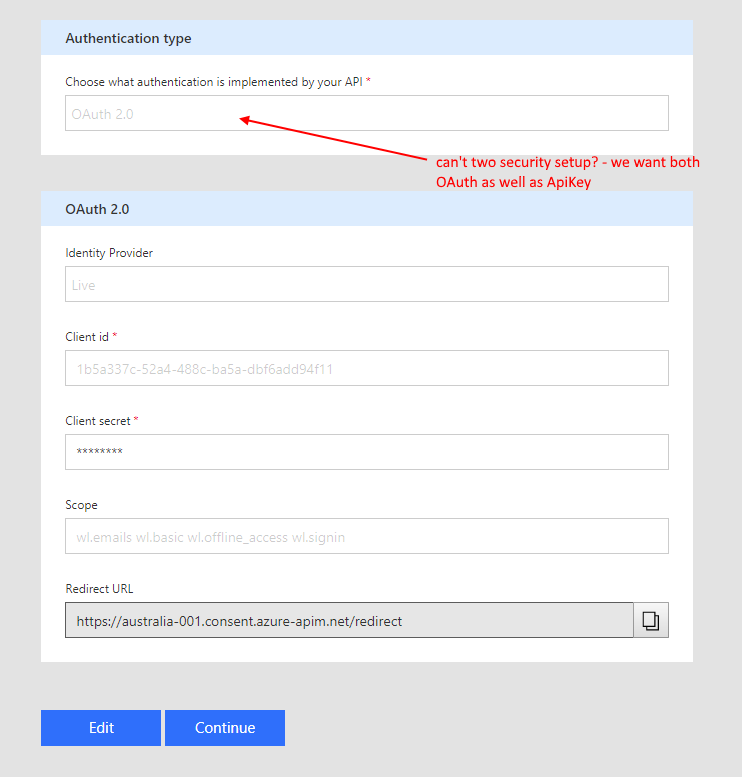 As far as I can tell, the Swagger file defines two security definitions (for MSA and ApiKey), but Flow's Custom Connection UI can only handle 1 security setup. Which is why I moved the ApiKey into an internal parameter within the Swagger File. 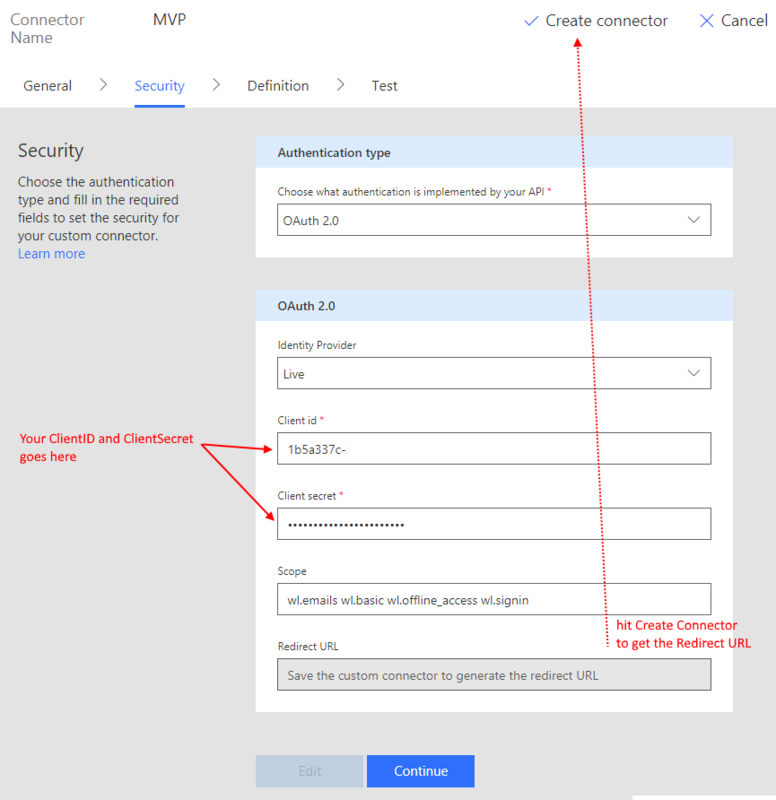 If Flow Custom Connection can handle multiple Authentication settings, then we can improve this part of the Swagger. 3. In Posting new Contributions - there are several settings are are ref objects. ContributionType, ContributionTechnology (ContributionArea), and Visibility. These should be connected to a dynamic lookup value, so within Flow UI, we will see a friendly dropdown menu that allows us to select one of the friendly names. There's always more to do, but there's also a time to stop, and publish this blog post. As I still see myself a newcomer in the SharePoint community compared to our many elders, I still hold my breath every year come Jan 02 when my MVP gets renewed. I'm told "if they weren't going to renew you they'll break it to you early" I hope so. I'm still holding my breath anyways. I received my Microsoft MVP award for the 3rd year on the morning of the 2nd. I wanted to say a big thank you to the community and Microsoft. Cheers for Team Office and Friends! 2016 is the year where Microsoft tweaks the MVP award system - for IT Pros and Developer MVPs, it is no longer based directly on specific product, but on the product group. Instead of SharePoint, I am now Office Servers and Services. I think this is a good thing, in that I was already contributing in different areas - I love Sway, and love love Power BI, at the same time I want to see SharePoint's Sites even more embedded within Office Add-Ins. Where will SharePoint go in 2016? Will it end up on HoloLens? Wow who knows. But know this, SharePoint is not going away not by a long shot. This is the year where I think we will see that MS is serious about SharePoint, and not just a service, but also a platform. Trust me, I'm a dev... A hopeful dev. And as Microsoft moves forward with single purpose: unifying Azure, Windows, Office and Bing engine, as well as advancing the devices with IOT, Xbox, Surface and Band, I have this uncanny grin as I imagine what we could build, not in 5 years' time, but this year, in 2016! Loving the ecosystem, loving the possibilities and loving the community. The Microsoft MVP Community Camp is happening next Saturday March 22. What is it? Microsoft APAC is hosting a simultaneous event in multiple cities around Asia and Oceania. It is named the Microsoft MVP Community Camp. There are two parts to this event. All the events are free. But you need to register. The various sessions are in different languages targeting the different markets in Asia Pacific. There's usually one English session in every time slot. This includes lots of discussions on SharePoint, Office 365, One Drive (for Business) and Azure. Some sessions are very timely. A number of sessions in Japan focuses on Azure - since they got their Azure datacenter earlier this month. Now this one is important. Because even though this is free, you need to register. Also, there's not much time left. So you really need to register now. For Sydney, our schedule and registration link is here. There are several sessions on Azure, Web Development, OneDrive as well as other related technologies such as Dynamics CRM. Links for other cities - not just the ones in Australia, but also around Asia are available from the main event link at the top of this post. I am not presenting at the event, but I'll be attending and attempting to field any SharePoint or Office 365 related questions.